ISLAMABAD, Aug. 9, 2014 - Photo released by Pakistan's Press Information Department (PID) on Aug. 9, 2014, shows Pakistani Prime Minister Nawaz Sharif (2nd R) addressing National Security Conference in Islamabad, capital of Pakistan. 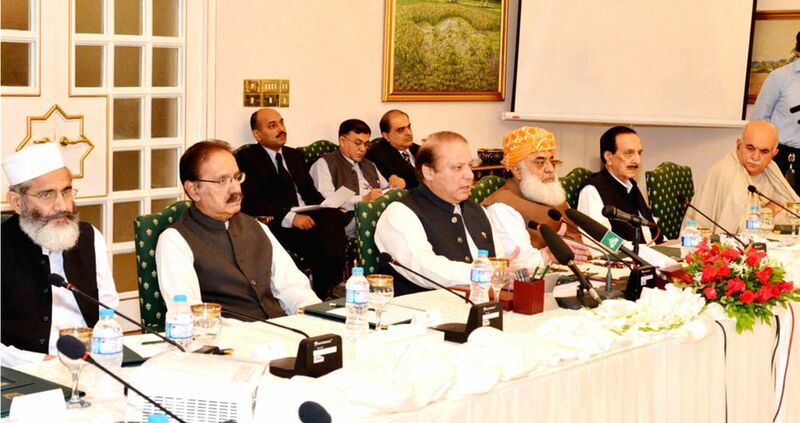 Pakistani Prime Minister Nawaz Sharif Saturday told the country's senior politicians and top military leadership that the country cannot afford political confrontation at a time when the security forces are fighting armed groups in North Waziristan tribal region. 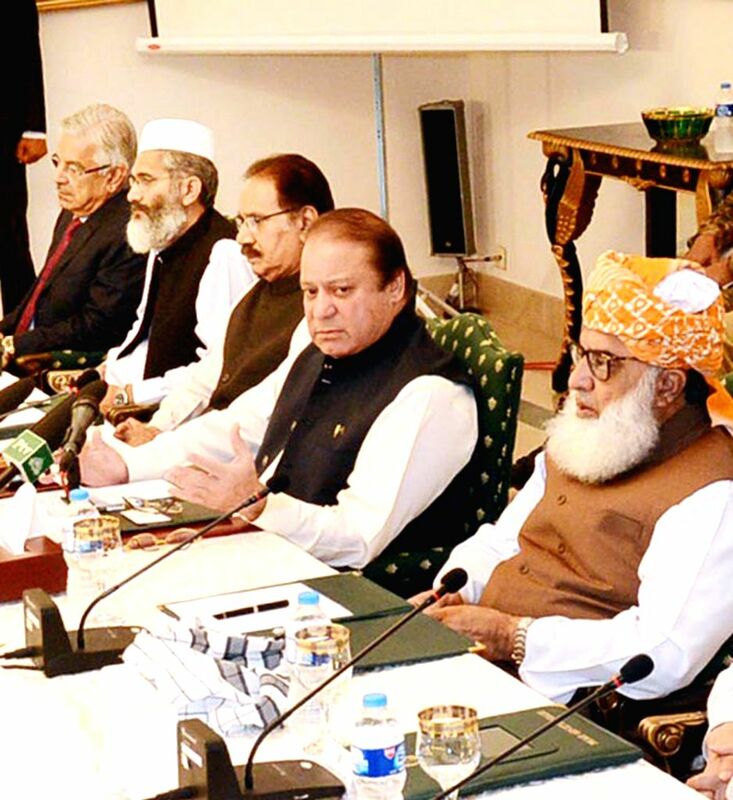 Photo released by Pakistan's Press Information Department (PID) on Aug. 9, 2014, shows Pakistani Prime Minister Nawaz Sharif (2nd L front) addressing National Security Conference in Islamabad, capital of Pakistan.